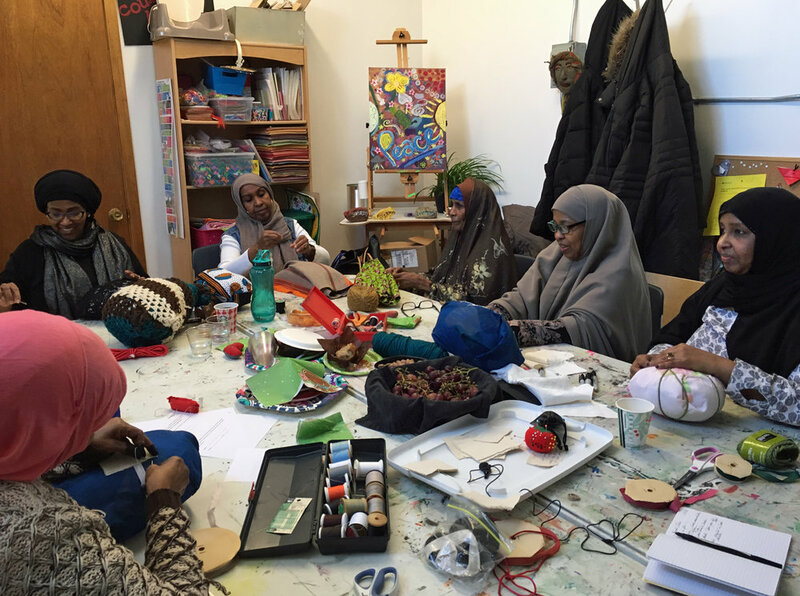 Women from the Somali community gather at Courageous HeArts in South Minneapolis for a Saturday morning bundle-making session. They shared stories and created vibrant personal pieces for the project. 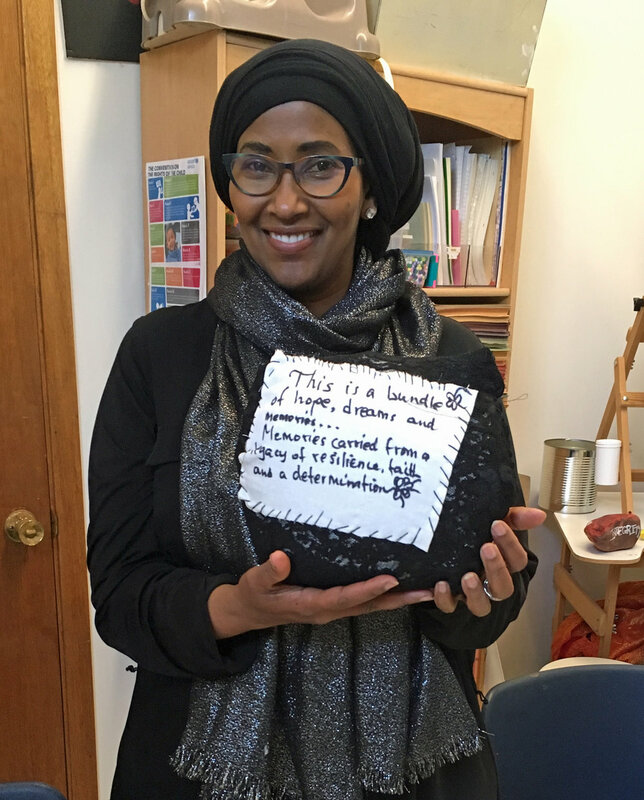 "These bundles, in the Somali culture, you’re supposed to let go…we usually don’t, art is a luxury, it’s a privilege to be able to access art." "Making things with our hands is human." Courageous HeArts: "Where creativity builds courage"